Yesterday morning we scooted around our new anchorage at Gili Trawangan in the tender, weaving our way through a stack of local boats. Markito and I pointed out rogue mooring ropes in the water that Simon artfully dodged. Sometimes boat owners here drop the anchor and then pull their boat up on shore and tie it to something there, so there can be mischievous anchor ropes that go out quite deep and get caught on our propeller. While on rope lookout duty a particular boat name caught my attention: Di Sini Senang. It’s the first line of a great little Indonesian jingle… and of course, it got stuck in my head. 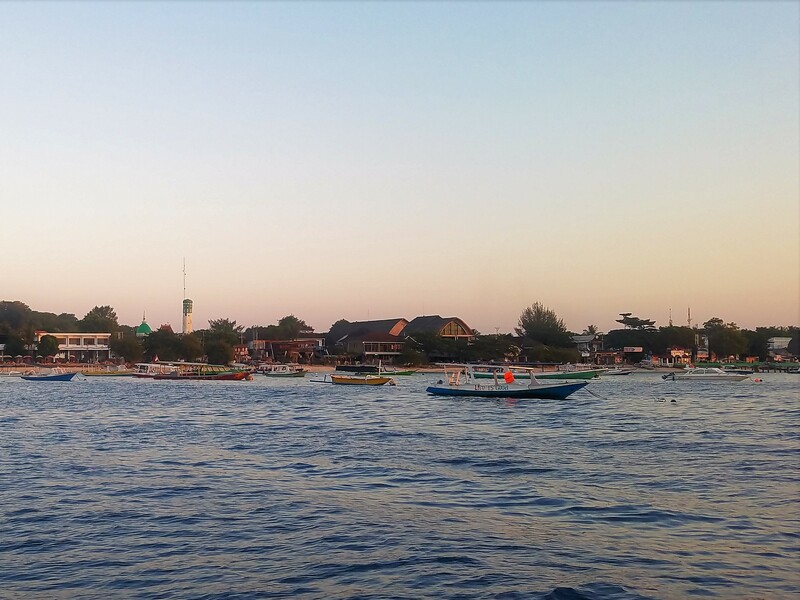 Later that day as we explored the busy main street of Gili Trawangan for the first time, I started singing Di Sini Senang out loud. This lead to an impromptu Indonesian language lesson with Markito. I taught him the lyrics and we began singing it together as we walked. Along the street we passed people sitting around (nongkrong – great word!) or standing out the front of restaurants ready to help potential customers. They always overheard us singing and often enthusiastically joined in. It was good fun. Like a Mexican wave in song form down the main street. The next day we did an unintentionally big 10km walk. 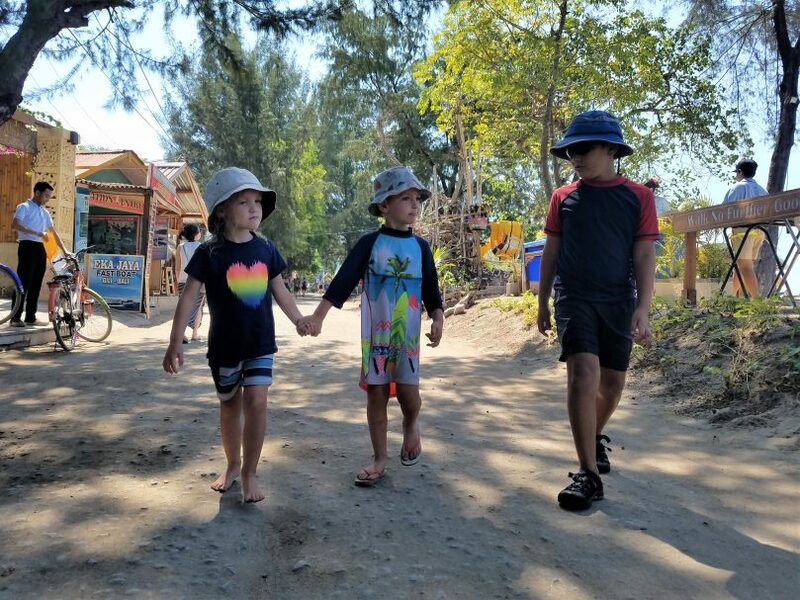 It started as a short walk up to a lookout point and ended with us walking almost the whole way round Gili Trawangan. Towards the end, I was walking with Zach who needed some help (read: entertainment) keeping his mind off his tired legs. Naturally, I started singing Di Sini Senang. After all, it had been playing in my mind repeatedly since yesterday, as jingles tend to do. Without having been involved at all in the Mexican wave sing-a-long the day before, Zach already knew most of the lyrics and happily sang along with me. 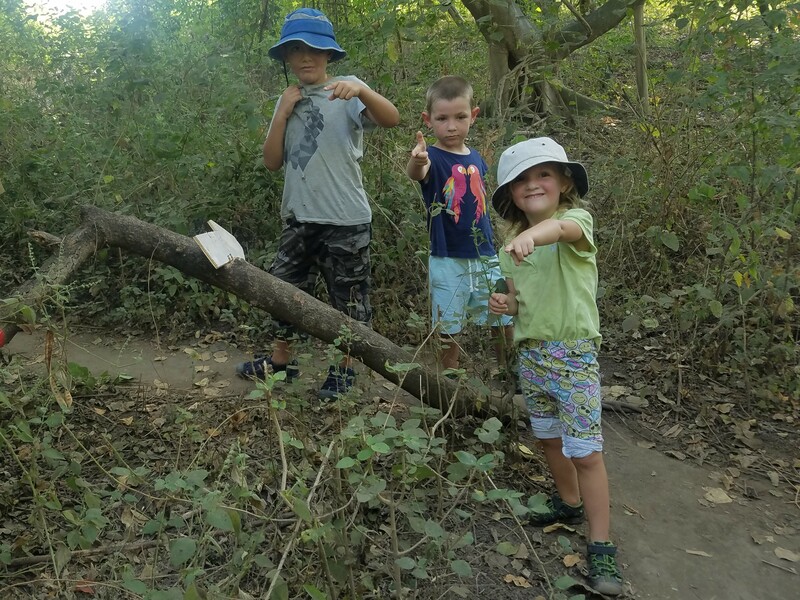 4-year olds can be weird like that – it’s part of their ‘I’m off in my imaginary land’ costume they wear when they’re actually strategically listening to every single thing that’s being said. Again we were joined by random strangers walking past us on the street, always with big smiles, sometimes with thumbs up too. Note: You only need to listen to the first 49 seconds to hear the whole song, the rest is just the first 49 seconds repeated over and over and over. And the lyrics, in case you want to join in!?! It’s fun teaching the kids some Indonesian while we are actually in Indonesia. Such a rich environment to learn in. Our learning is quite ad-hoc. Sometimes it’s initiated by Markito asking a question, other times by a sudden burst of enthusiasm from me. There could be a week-long lull and then a flurry of new vocab. I’ve found that teaching a question, then lots of possible responses to the question, then repeating that conversation over and over (like Ester singing!) is working well so far. And on and on. Etc. 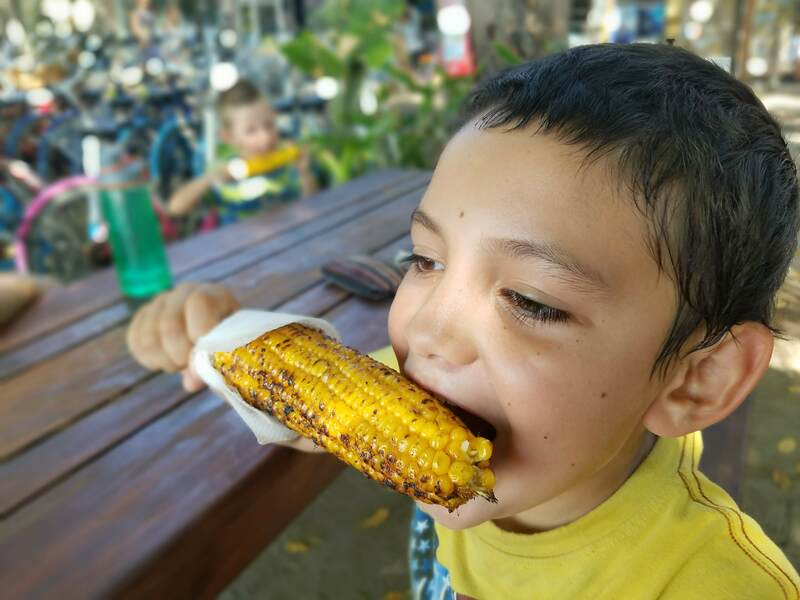 Markito’s first experience of BBQ’d corn in Indonesia was a hit! This one had garlic butter paste melted onto it. Mmmm. Great opportunity to learn the words that describe what you are eating… ‘jagung bakar’! I recently posted this photo in a comment thread in the Kids4Sail Facebook group. 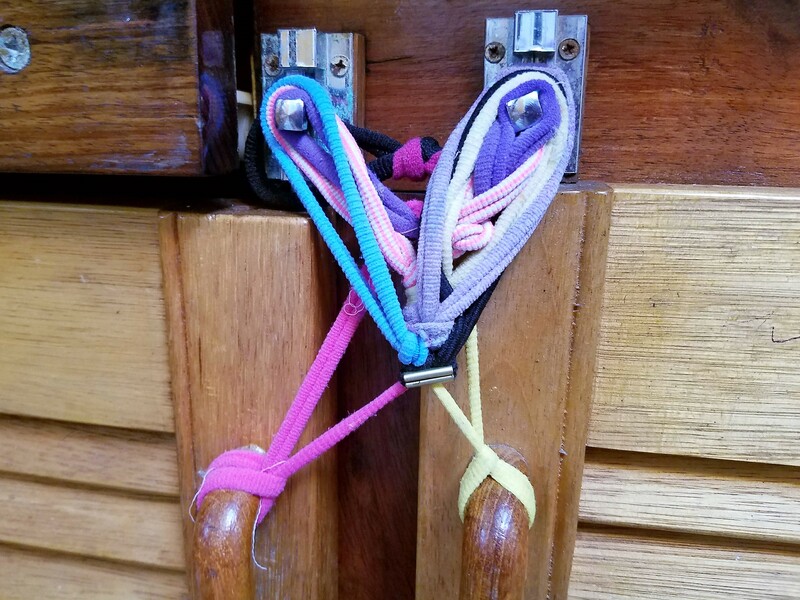 You know you live on a kid boat when…. 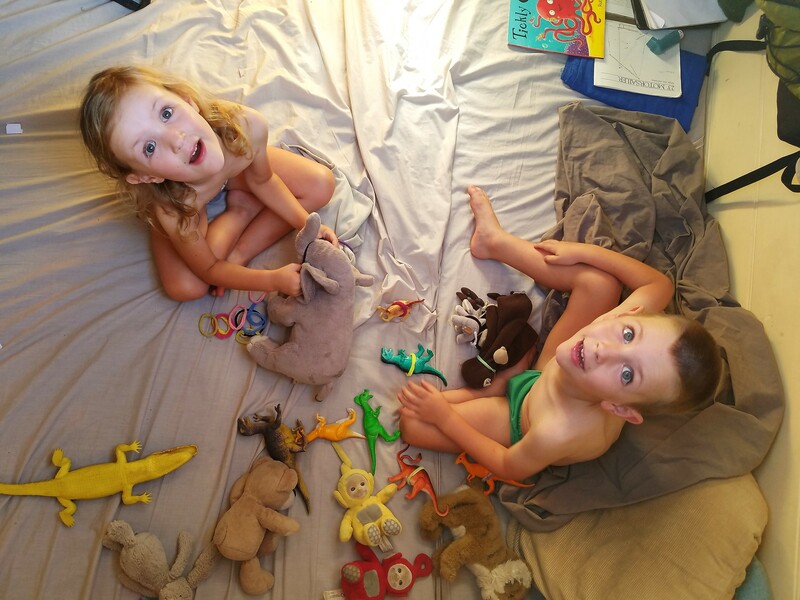 you can’t open your cupboards coz the kids have been practicing tying knots with their hairties. (or more specifically, Freyja).